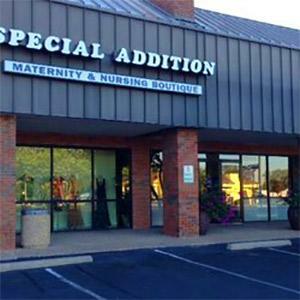 Special Additions Maternity and Nursing boutique in Austin, Texas has a very spacious and beautiful nursing room, with three upholstered rocker-glider chairs, one wicker armchair, foot stools, nursing pillows, and extra space to park your baby's stroller. The staff is very friendly and will direct you to the nursing room when asked. The room has comfortable low light, and is partitioned off curtains and a glass door. There's an extra restroom with a nice and clean baby changing in another part of the store.